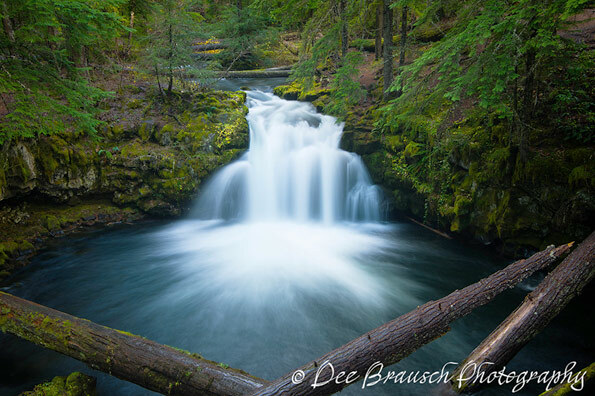 This entry was posted in and tagged Dee Brausch, Nancy Anderson on May 3, 2019 by Rob Robinson. 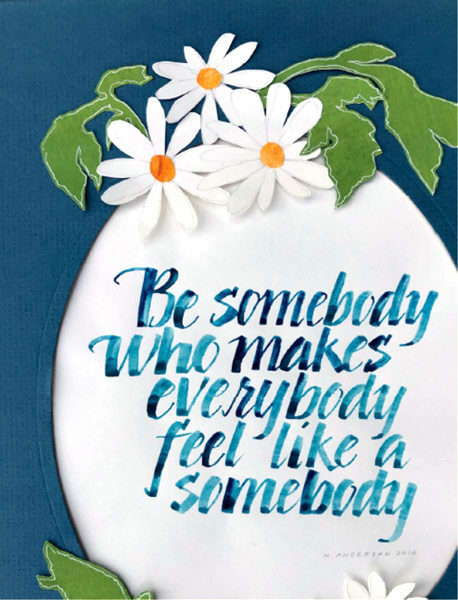 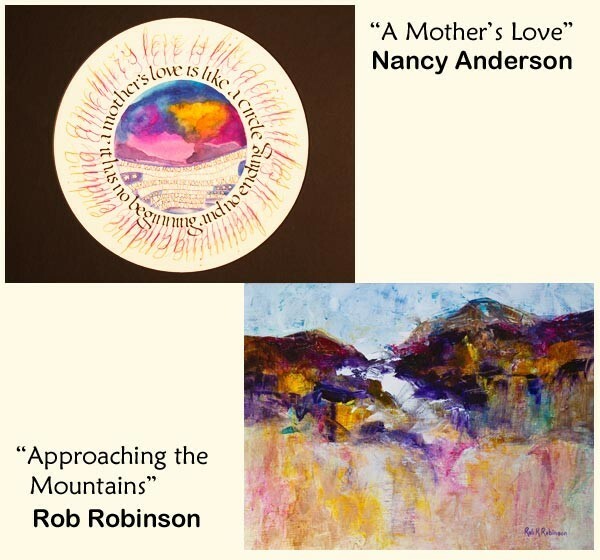 This will be a perfect opportunity to meet our three new artists at the gallery – Marjorie Kinch (watercolor), Nancy Anderson (calligraphy), and Dan Sherman (photography). 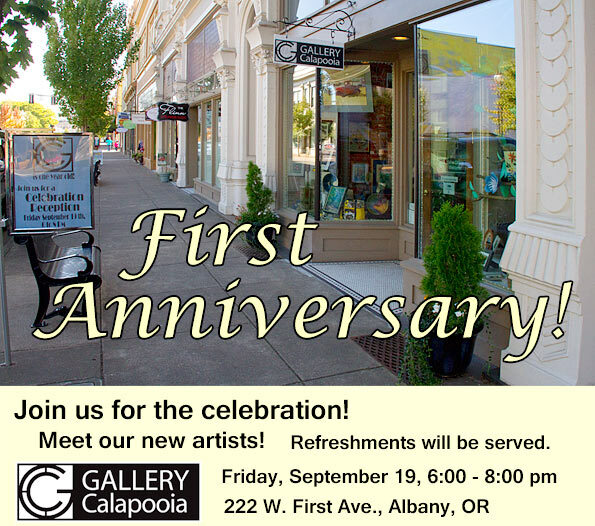 This entry was posted in Exhibit, Reception and tagged Anniversary, Dan Sherman, Gallery Calapooia, Marjorie Kinch, Nancy Anderson, Reception on September 7, 2014 by Rob Robinson.